Deep ruby colour and an elegant nose of red fruits, like cherry, raspberry, strawberry and blackcurrant with a bit of spices and pepper. The mouth is full, well balanced with an elegant finish. It can be served with red meat, grilled salmon, pasties and hard cheese. 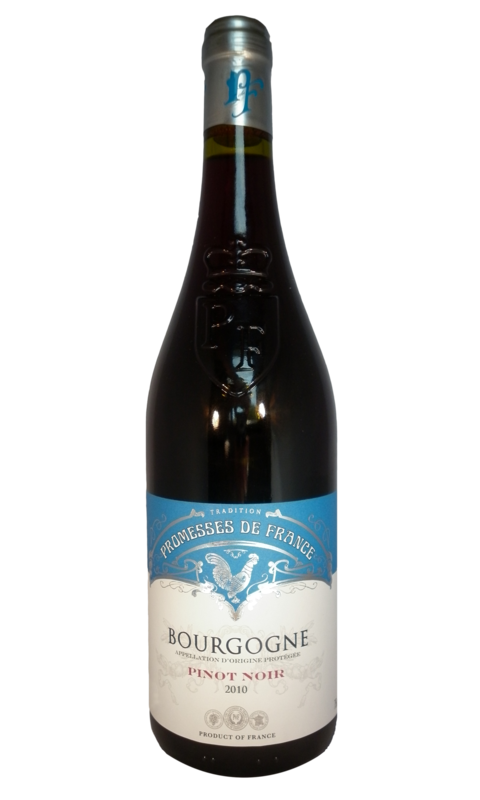 With the Promesses de France Bourgogne Pinot Noir, the promise is to offer an authentic wine produced in accordance with the Burgundian traditions. 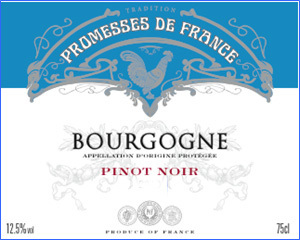 100% Pinot Noir grapes sourced form the best vineyards in Burgundy. The soils of the North are known for their fruity character, the soils of the South give wines of structure.